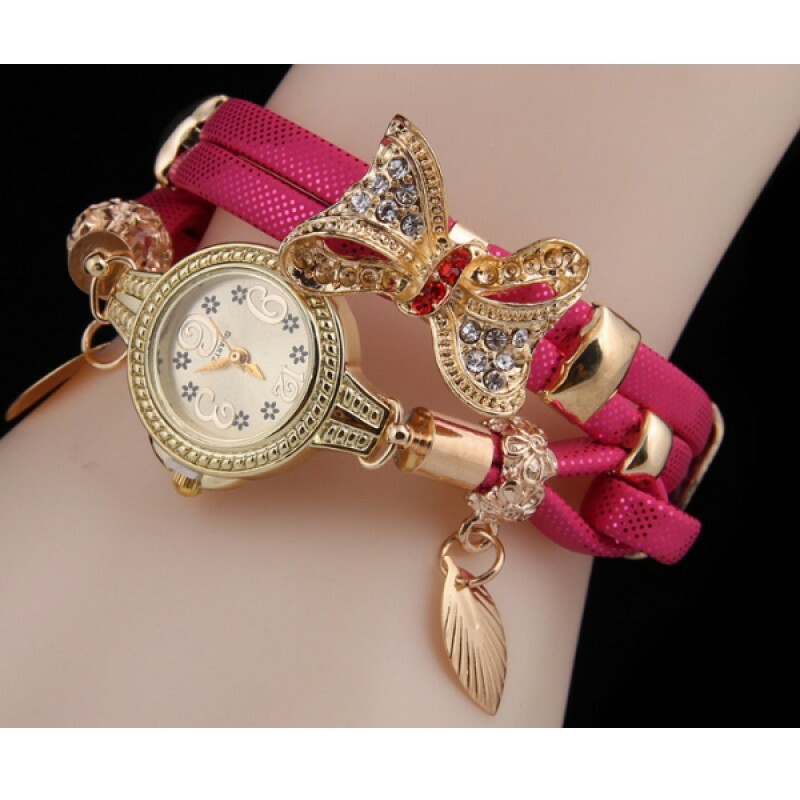 Pure golden colored with PINK shining bracelet type strap having golden colored beed and butterfly on strap. This analog round shaped watch is purely designed to add an elegant look in your overall style. Available in range of colors. BROWN thin plain PU leather strap with golden dial giving such a nice look. The case is made with al..